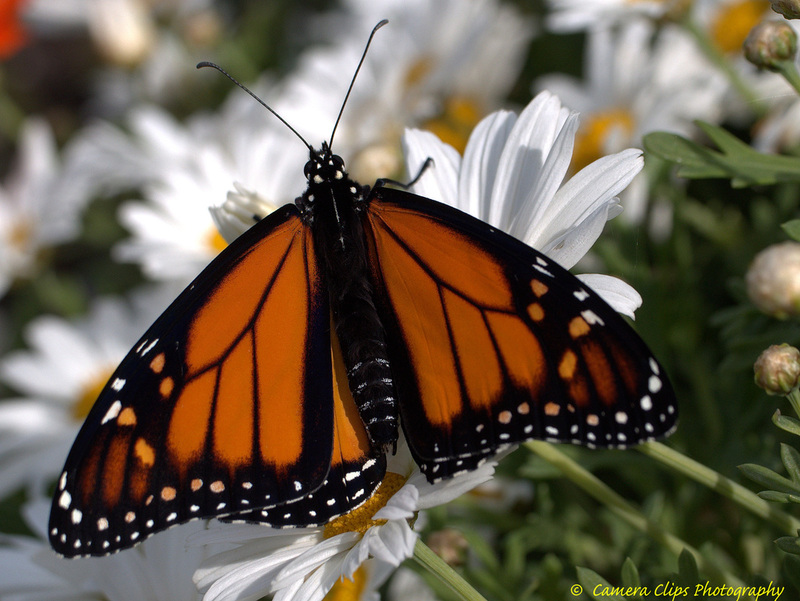 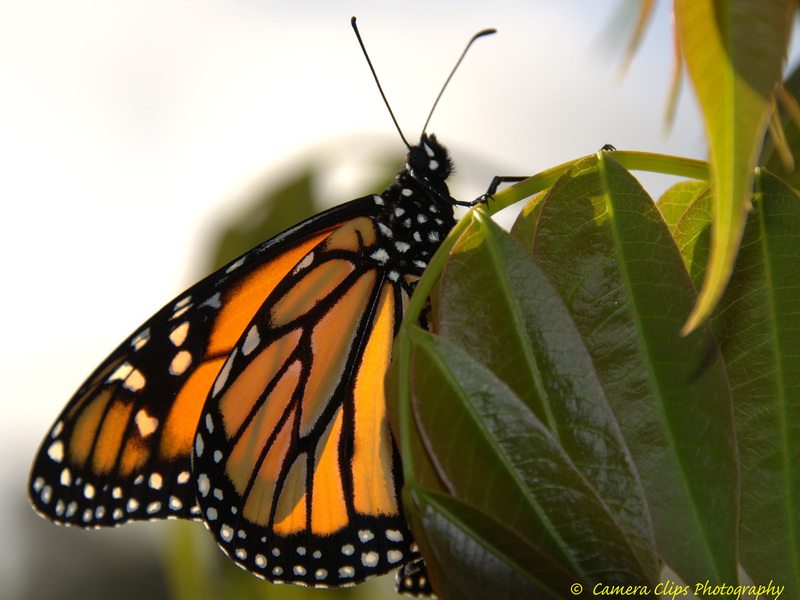 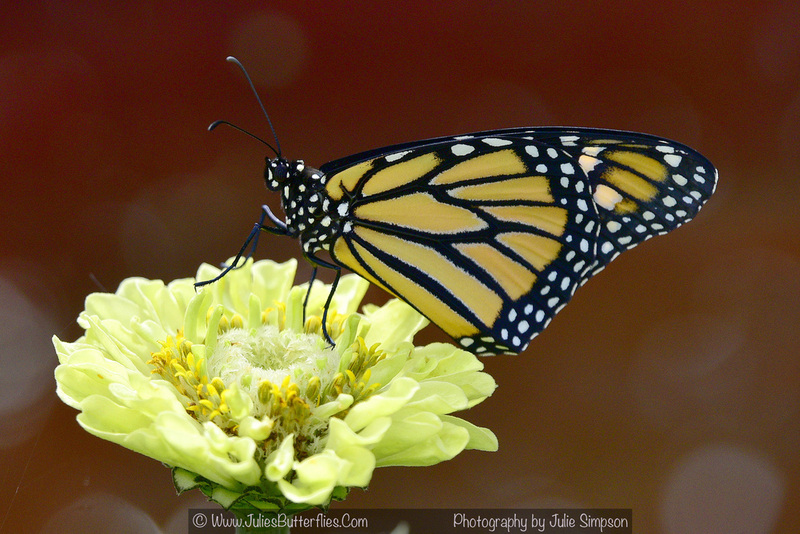 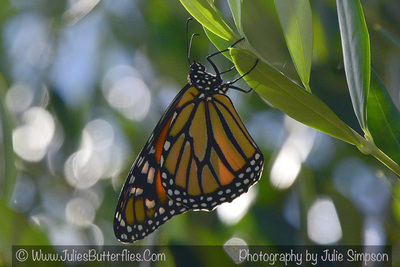 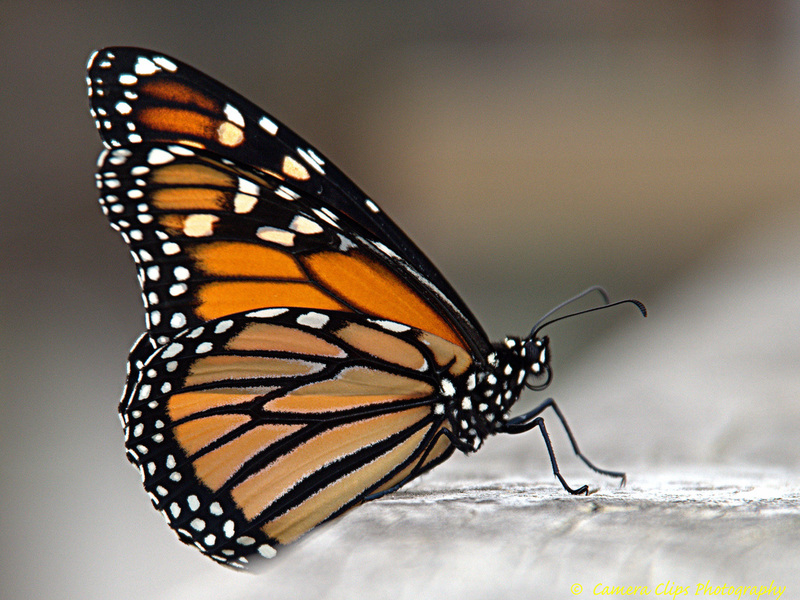 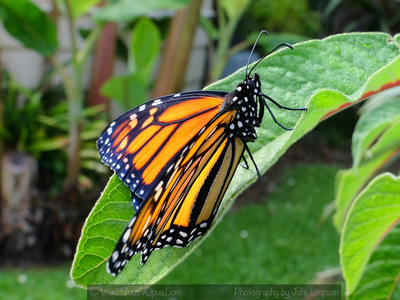 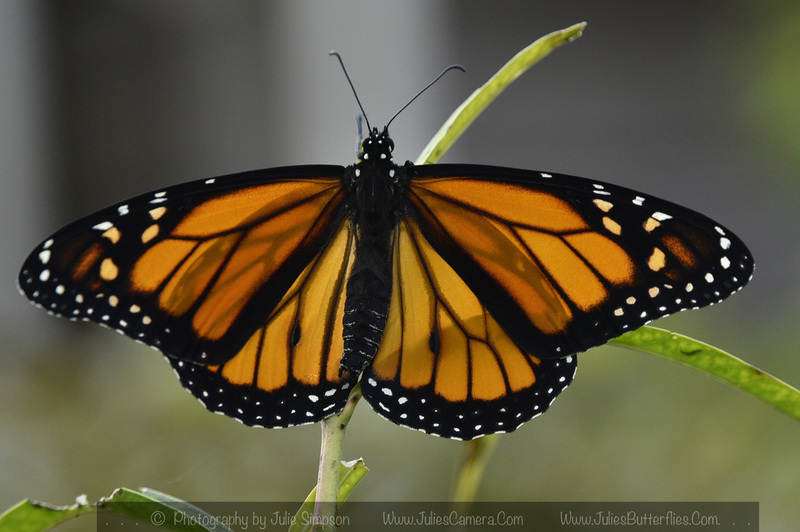 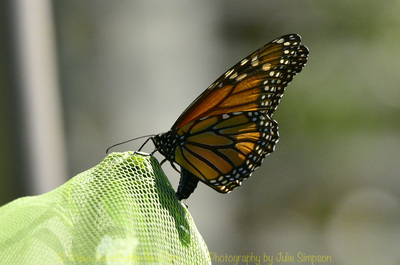 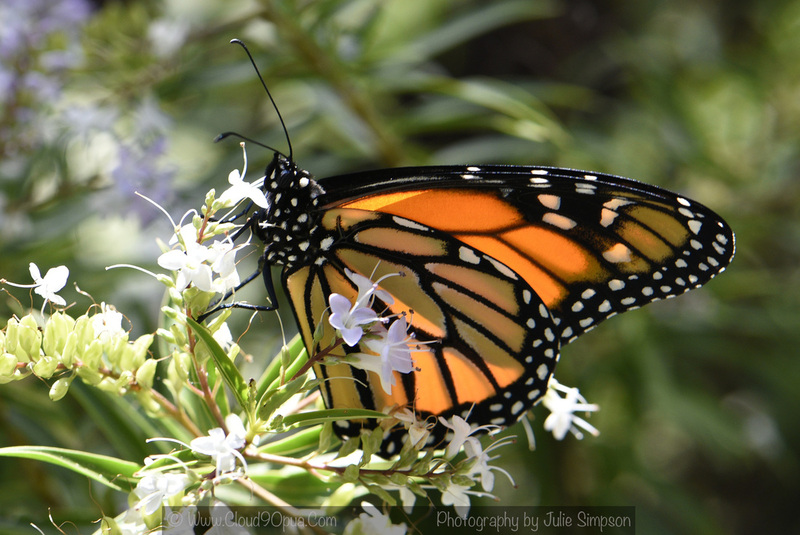 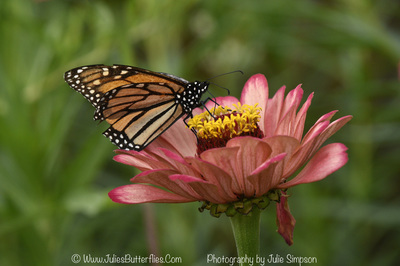 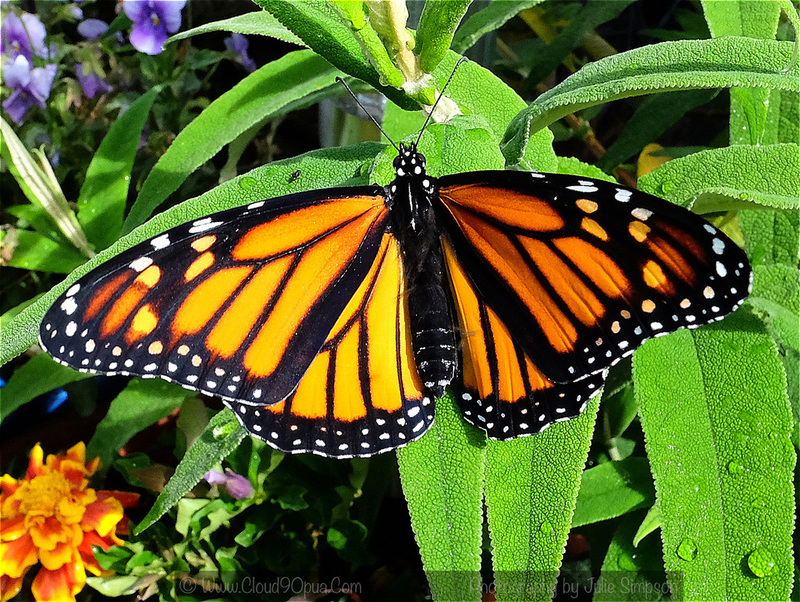 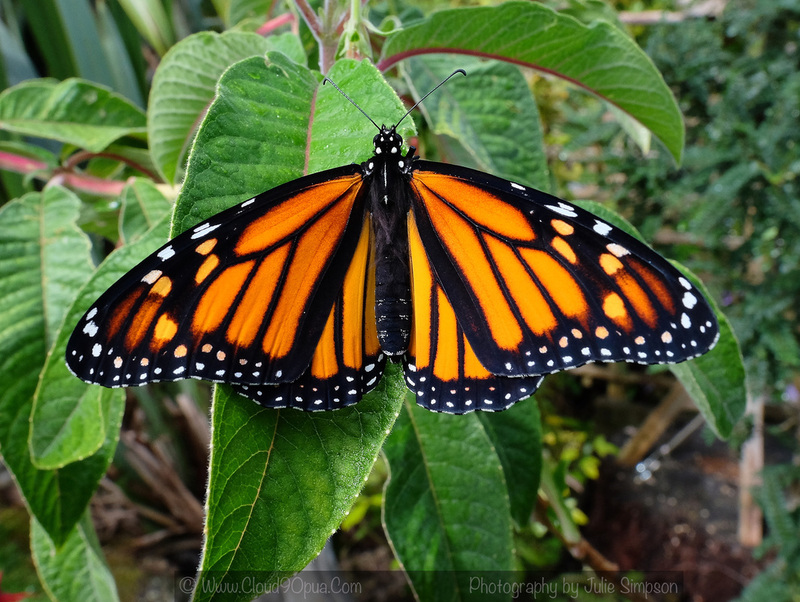 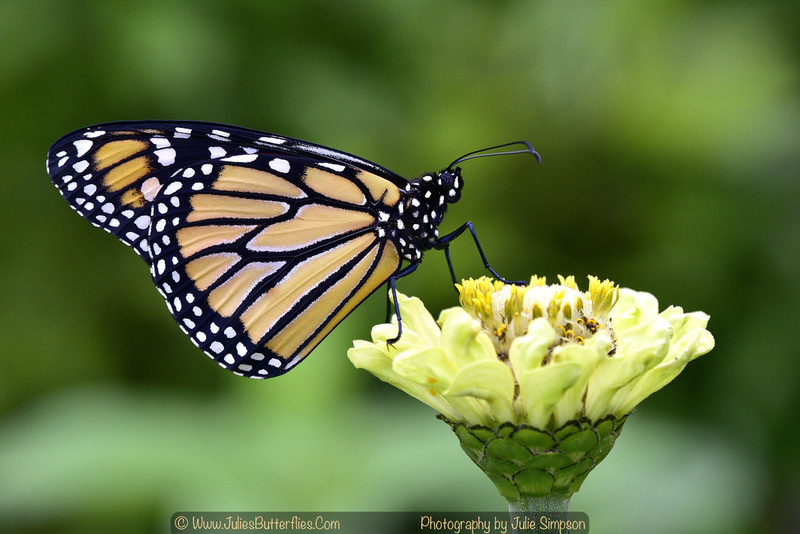 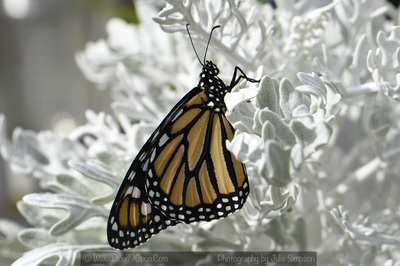 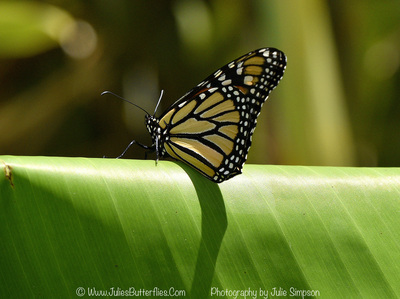 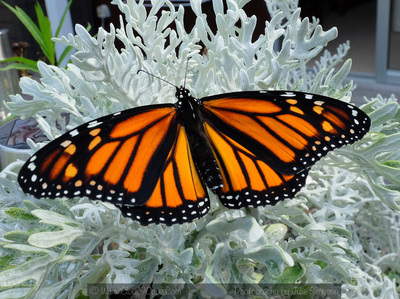 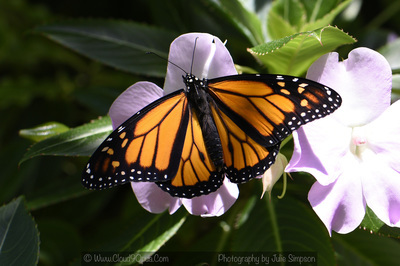 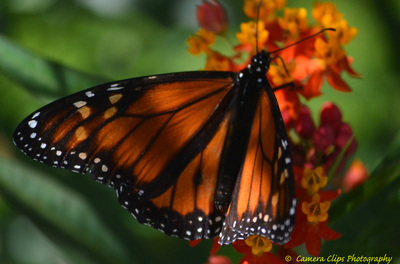 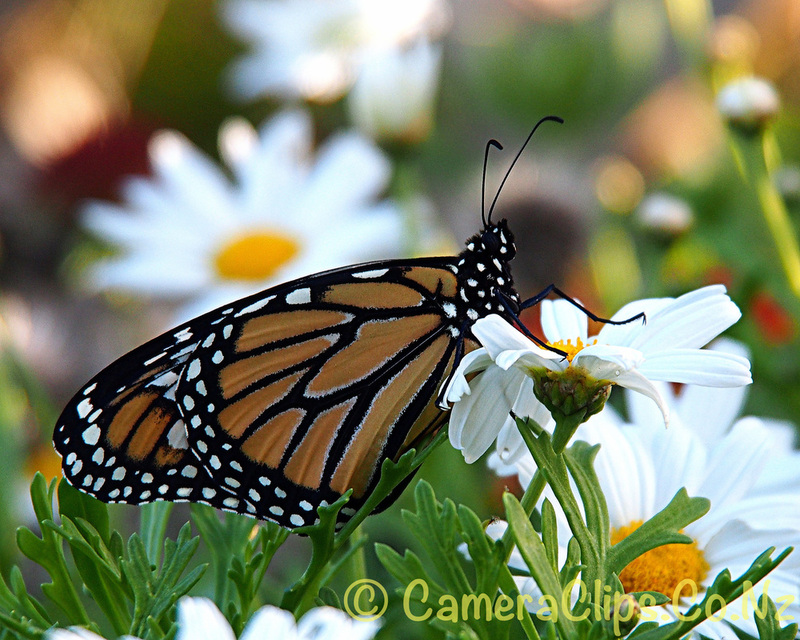 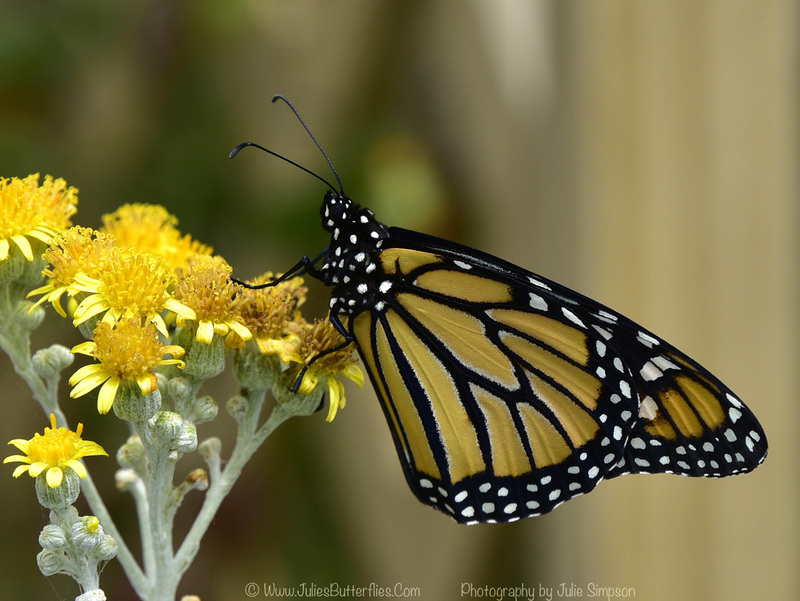 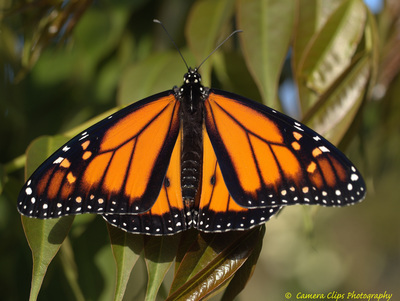 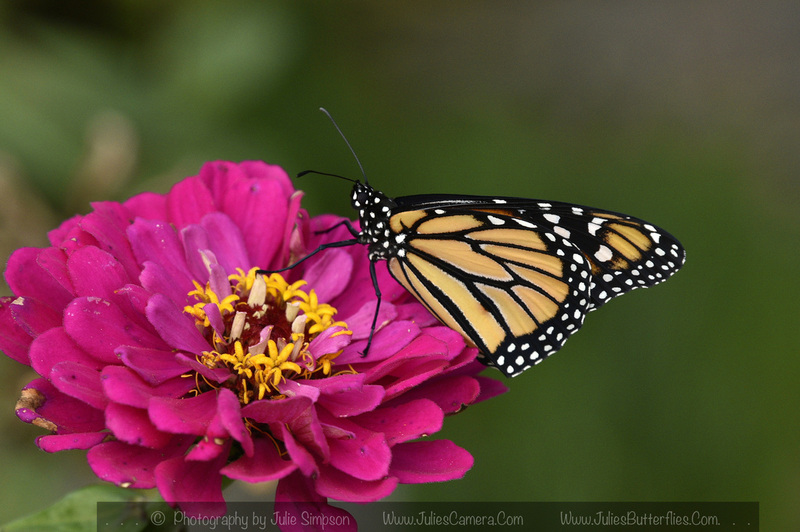 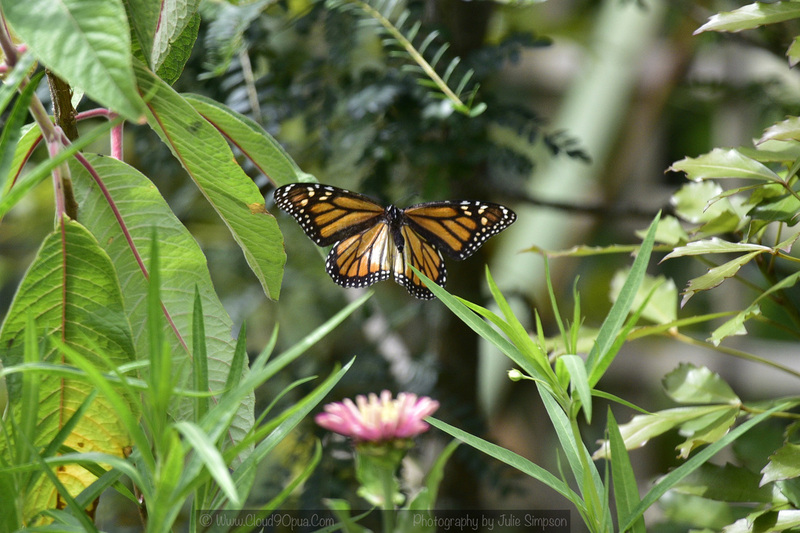 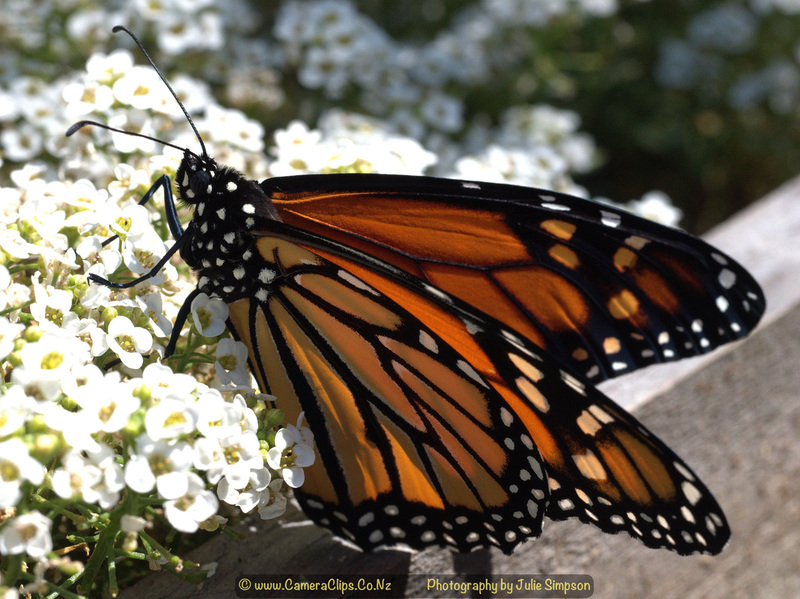 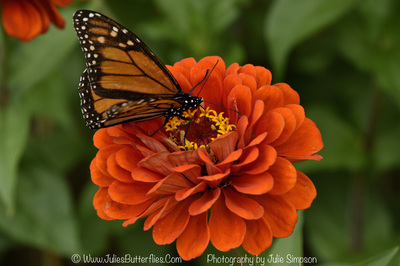 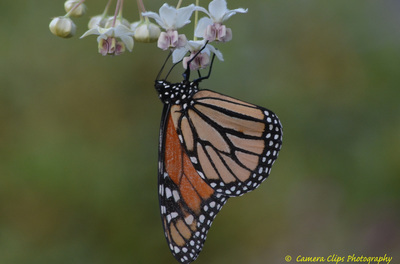 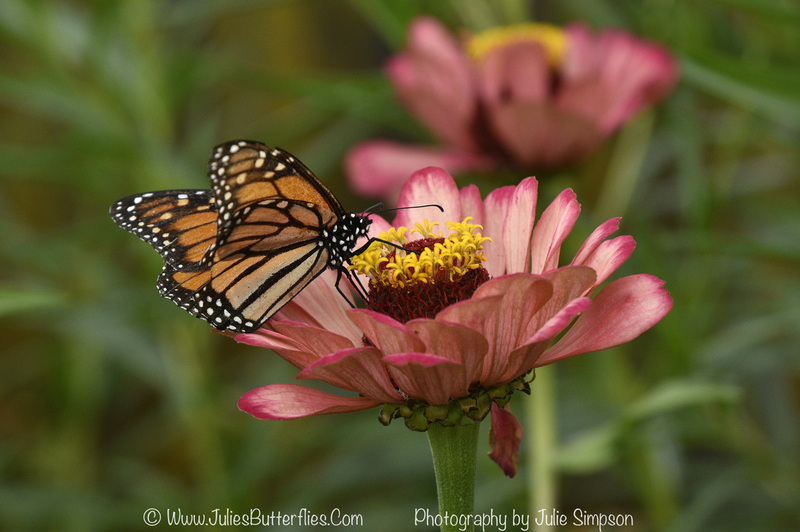 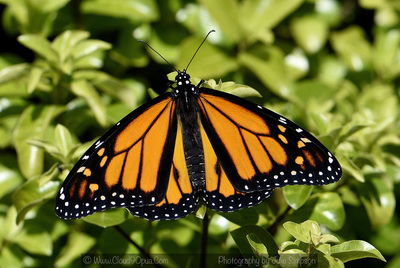 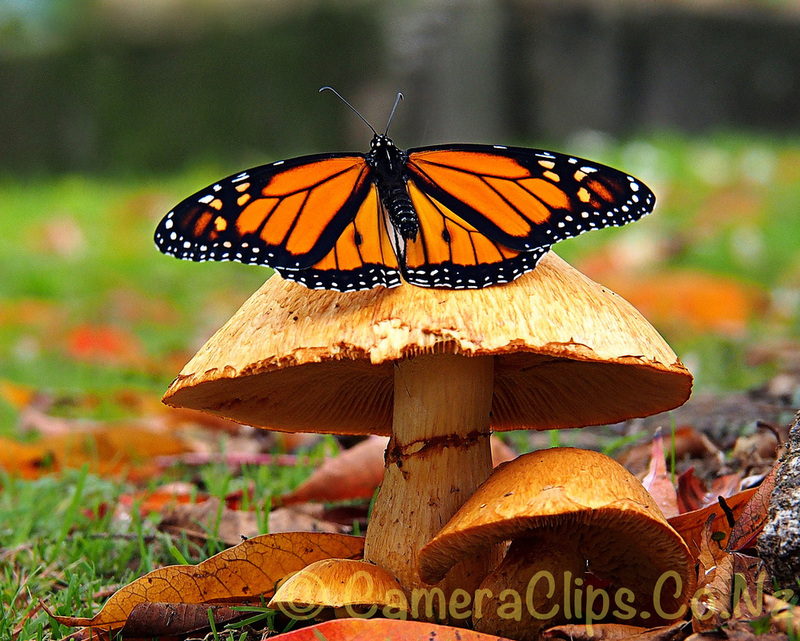 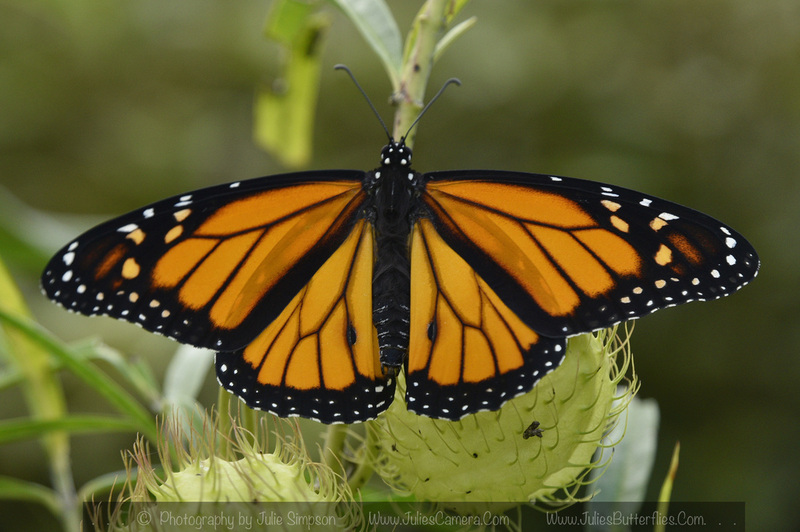 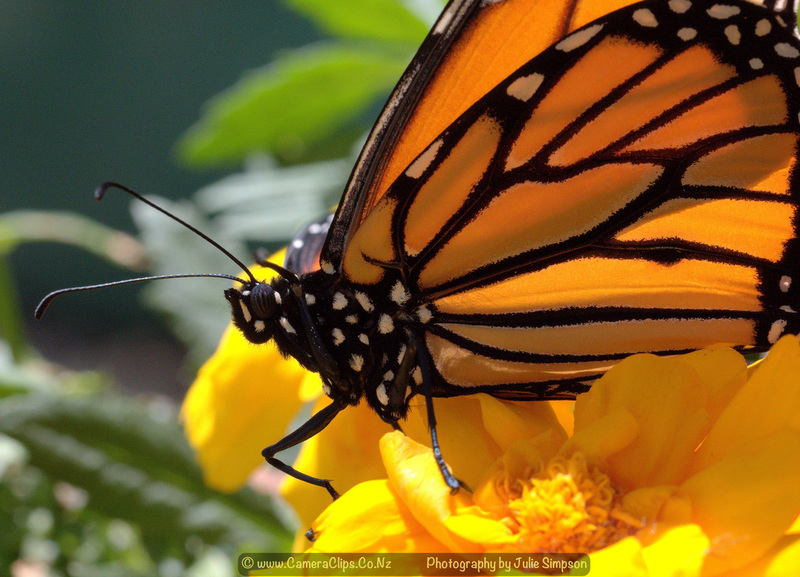 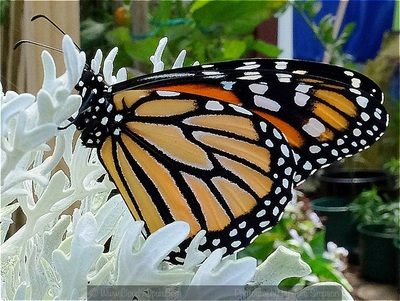 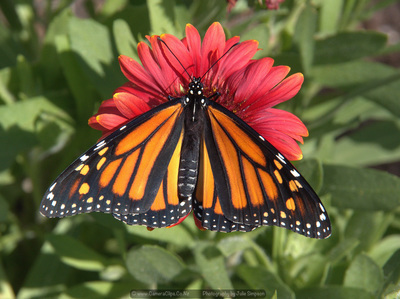 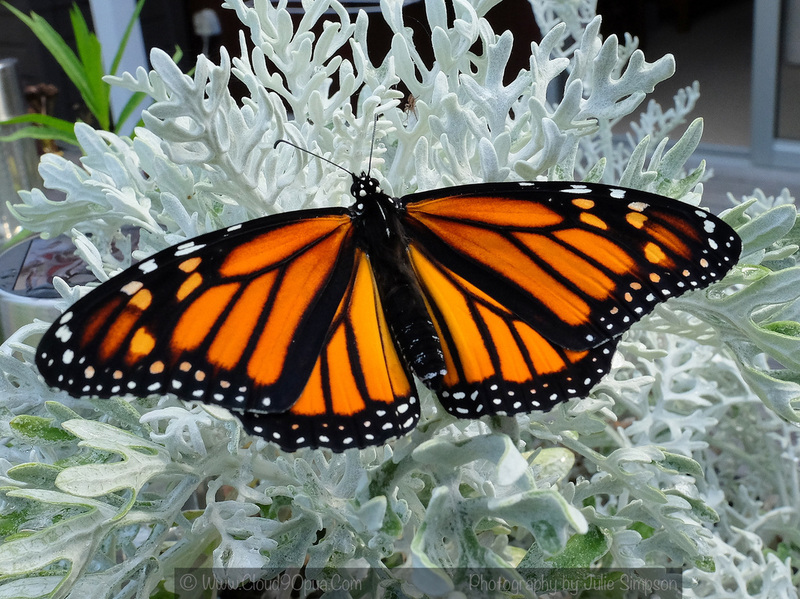 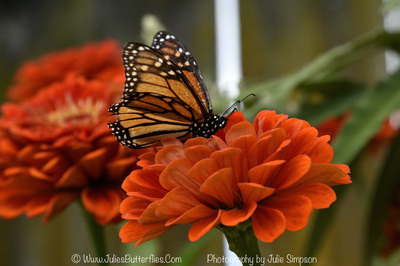 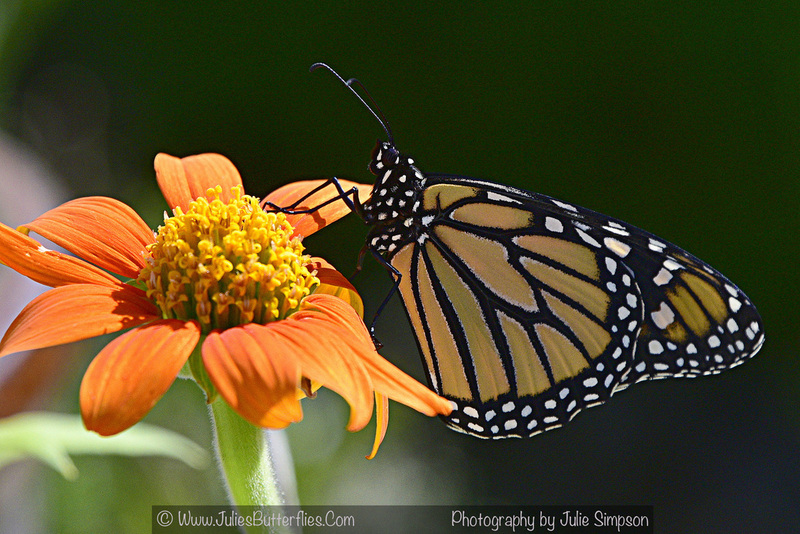 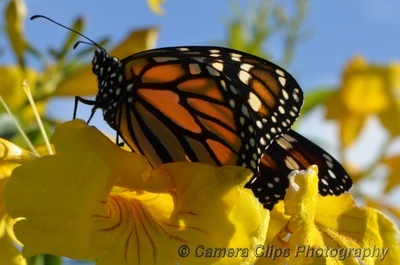 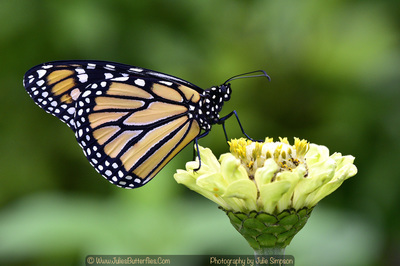 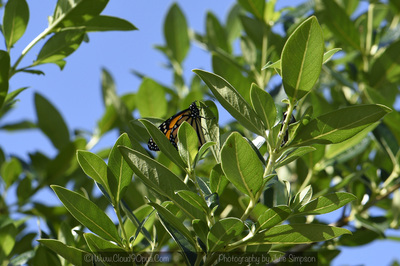 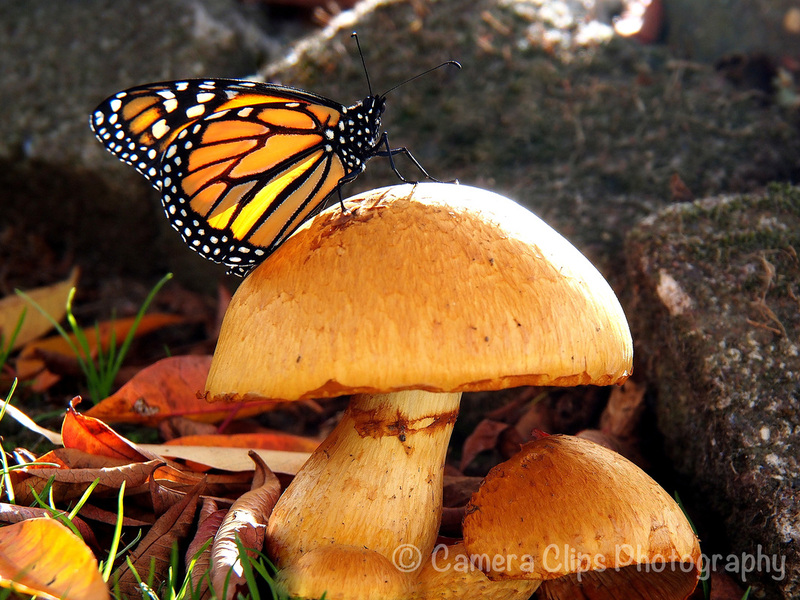 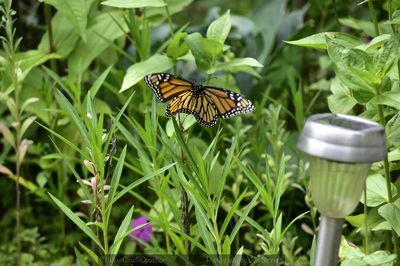 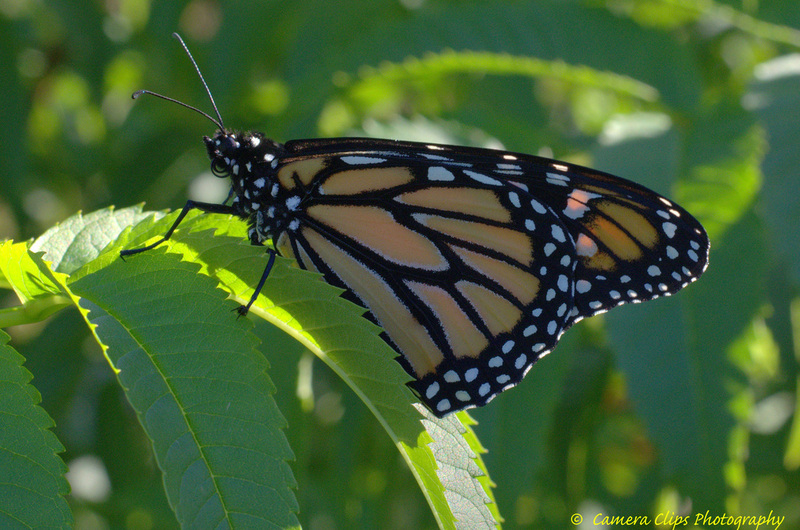 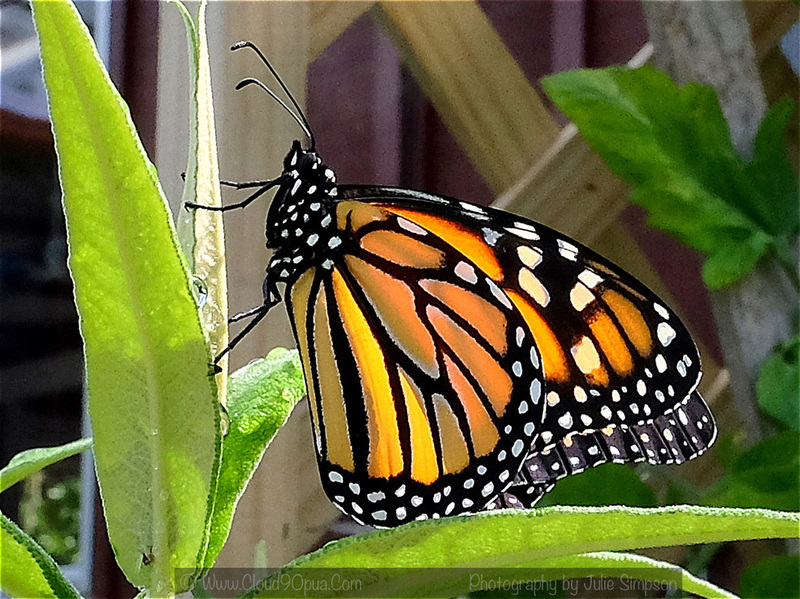 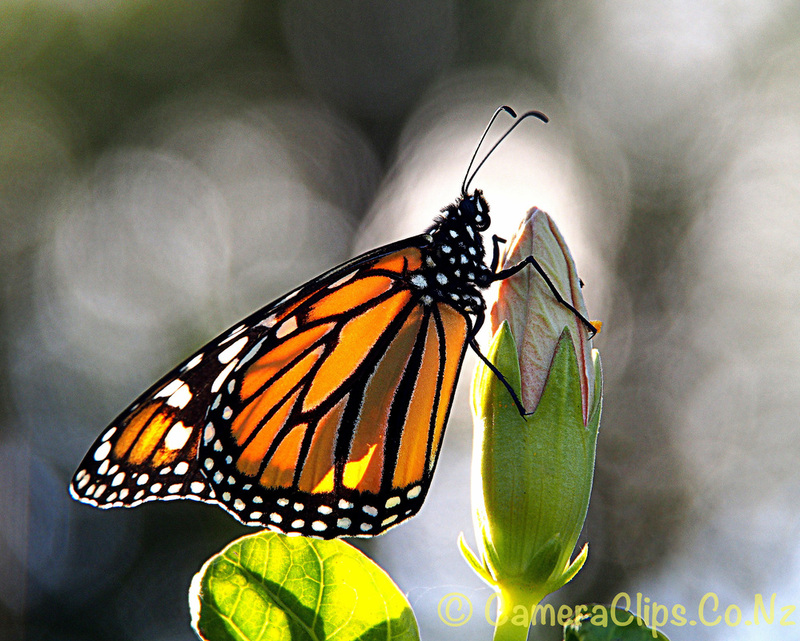 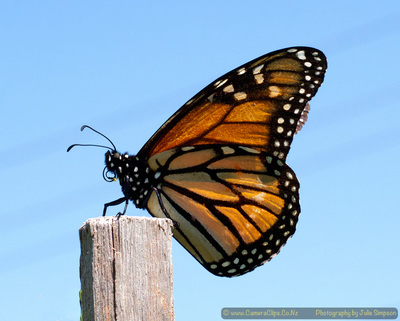 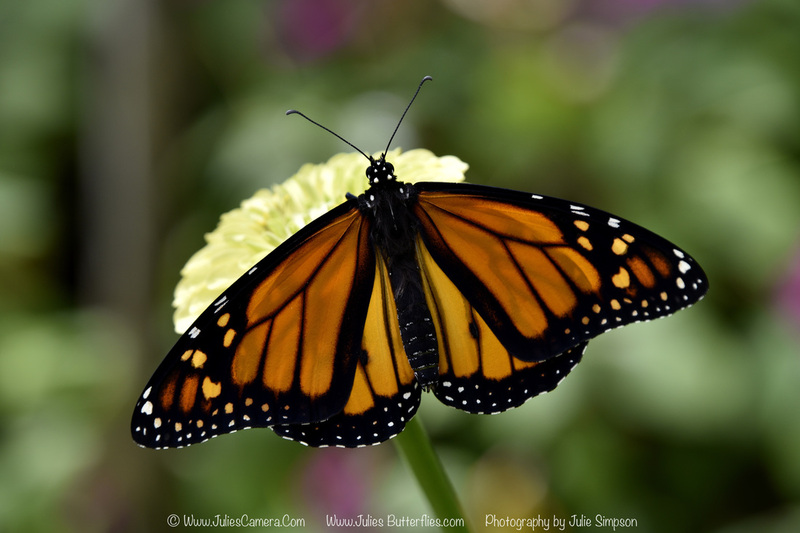 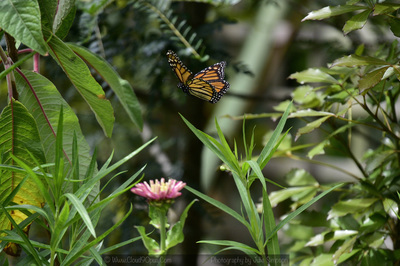 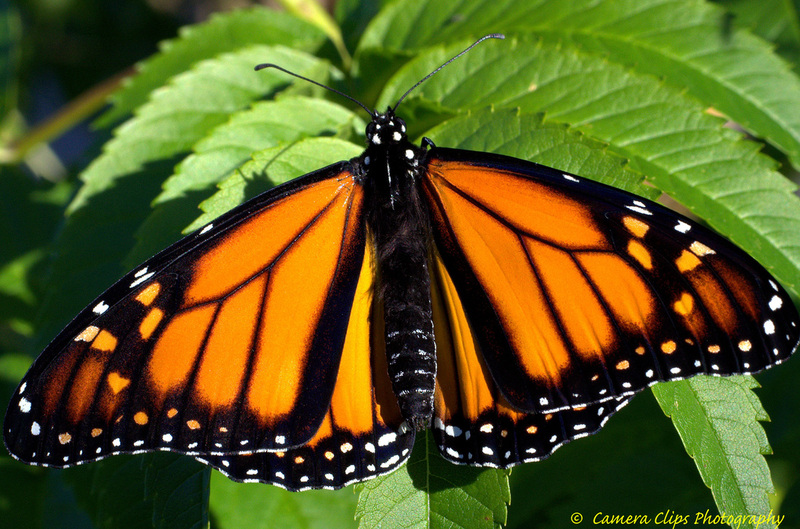 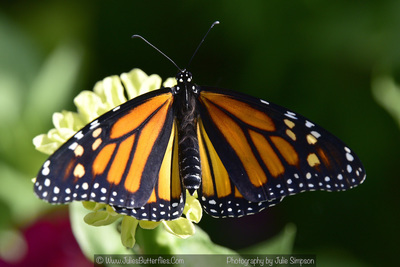 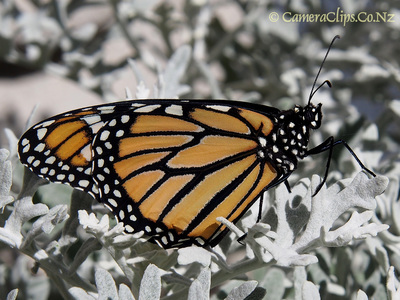 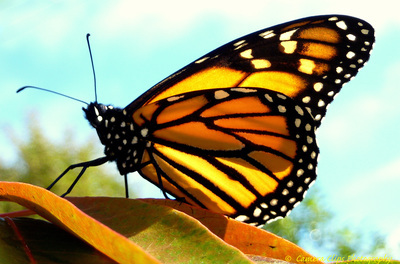 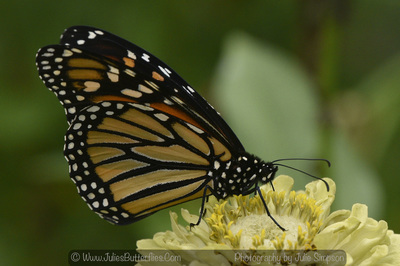 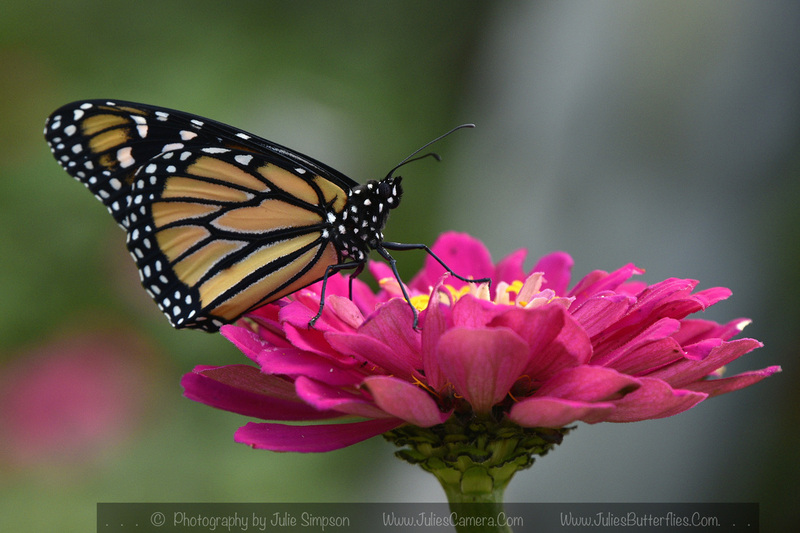 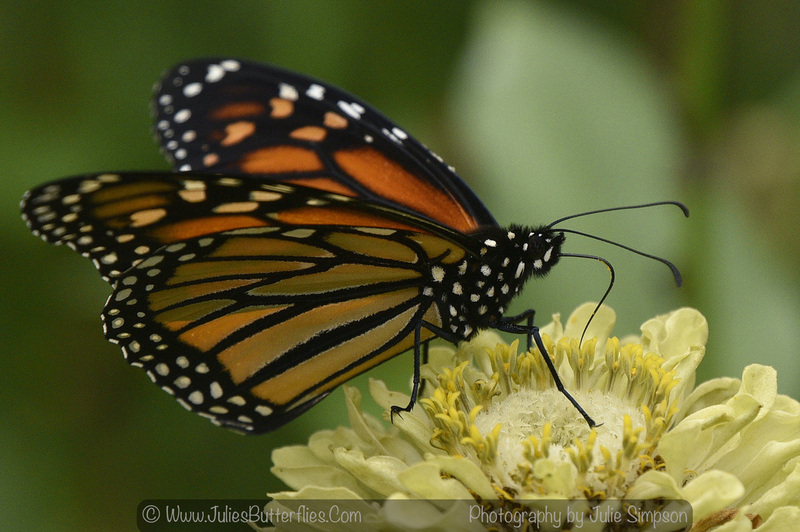 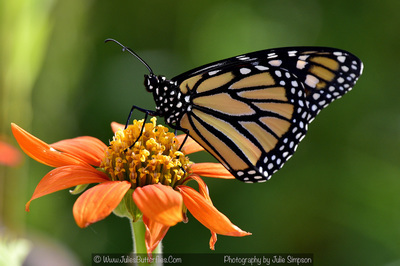 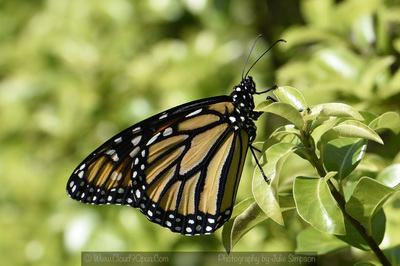 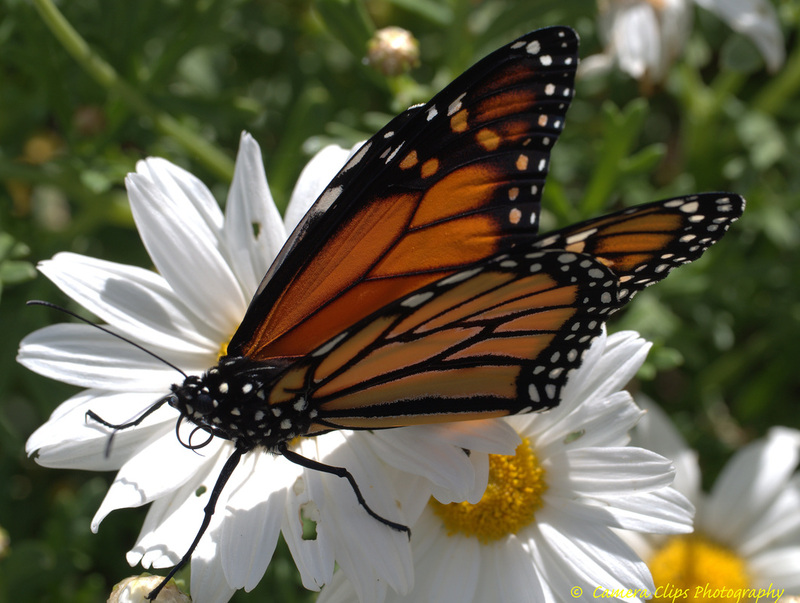 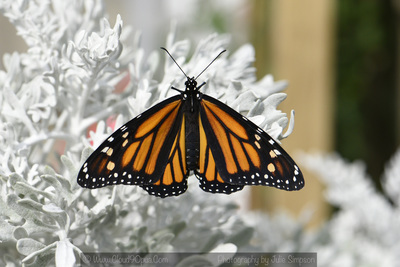 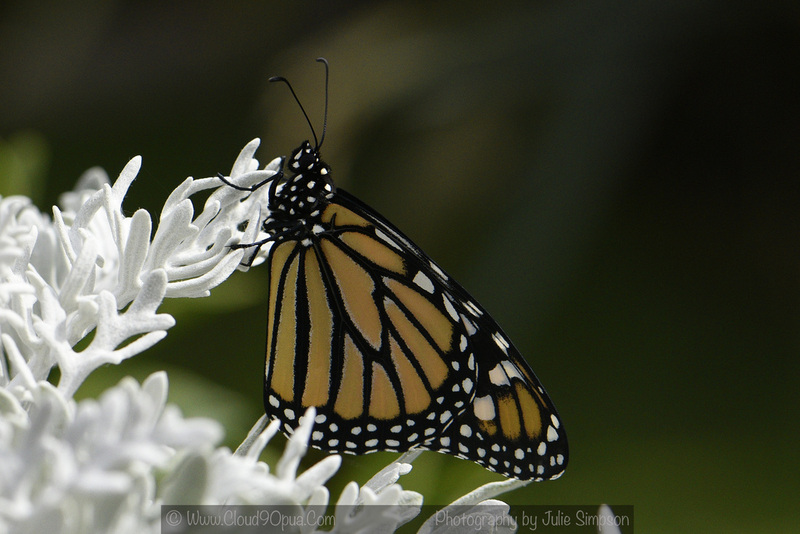 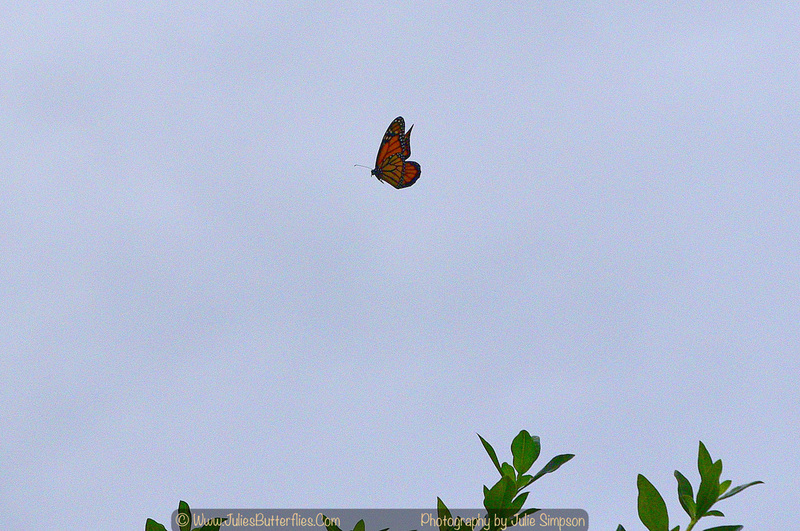 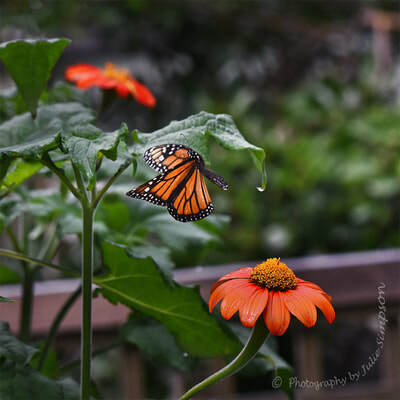 The monarch butterfly arrived in New Zealand about 120 years ago, crossing the Pacific from North America. 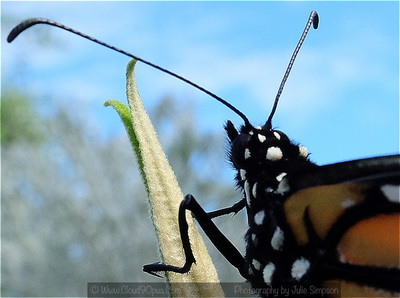 It is New Zealand's largest resident butterfly. The Monarch caterpillar's food is the Swan plant (Asclepias physocarpa). 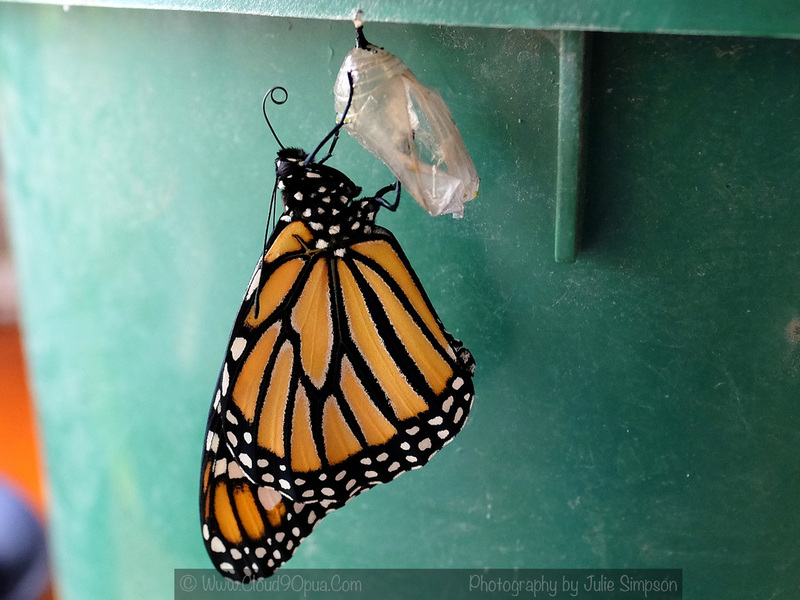 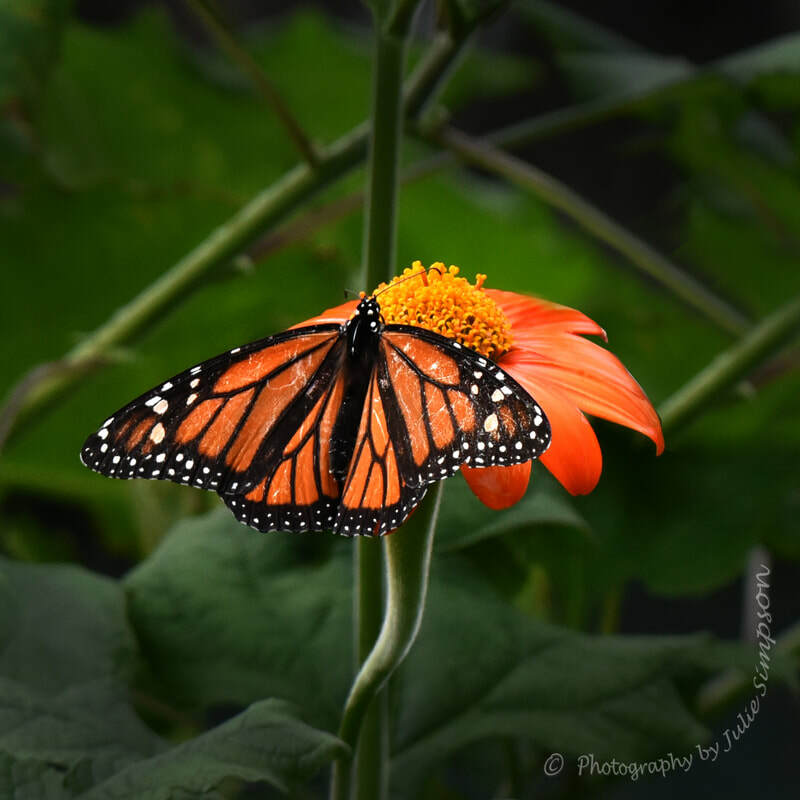 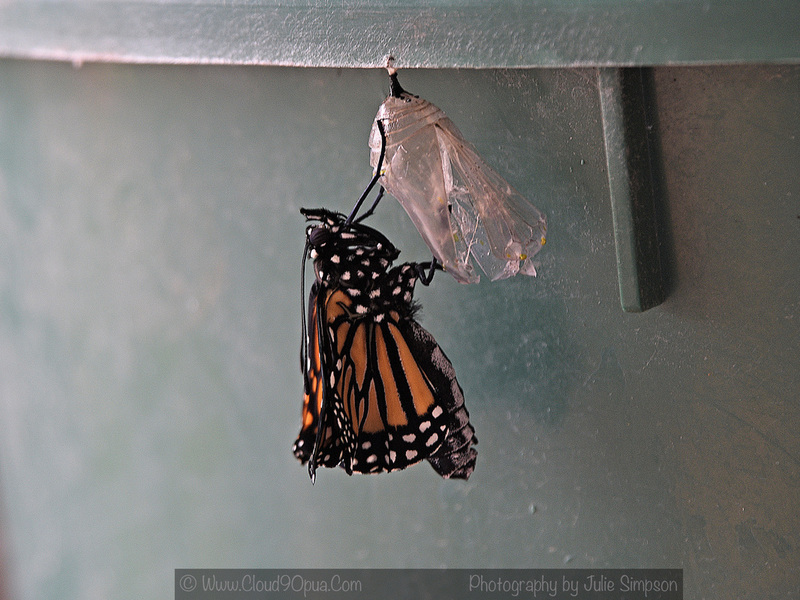 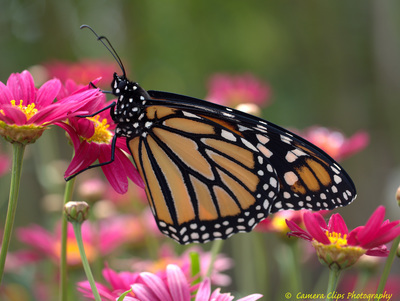 Monarchs' life cycle is approximately two weeks as a caterpillar, two weeks as a chrysalis and about two months as a butterfly. 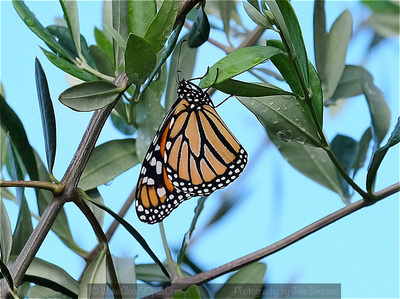 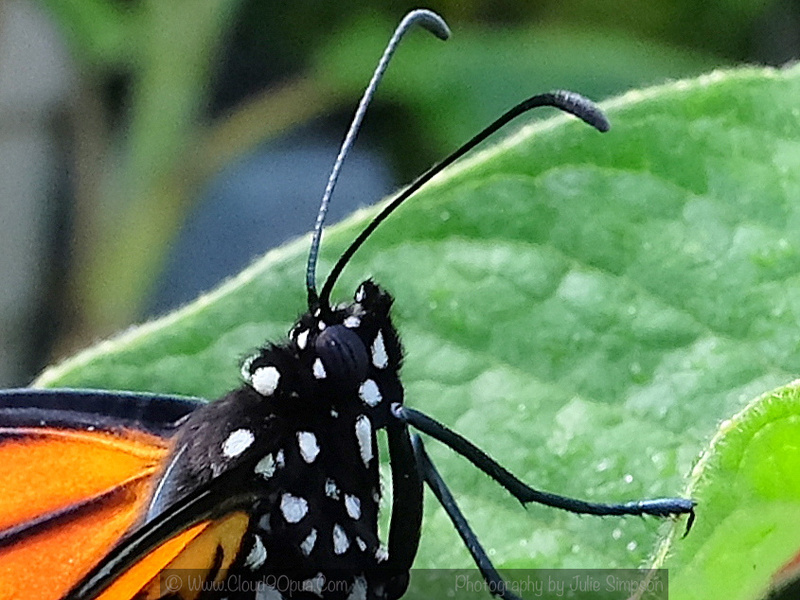 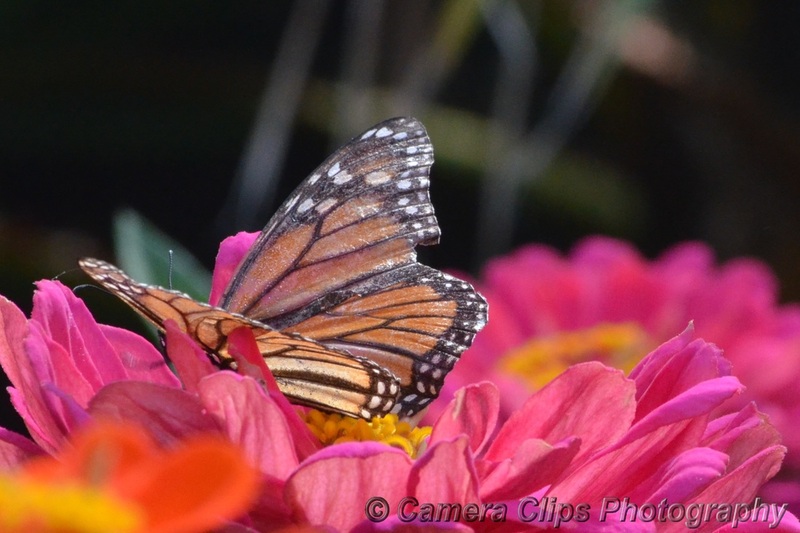 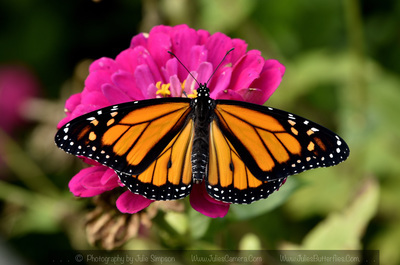 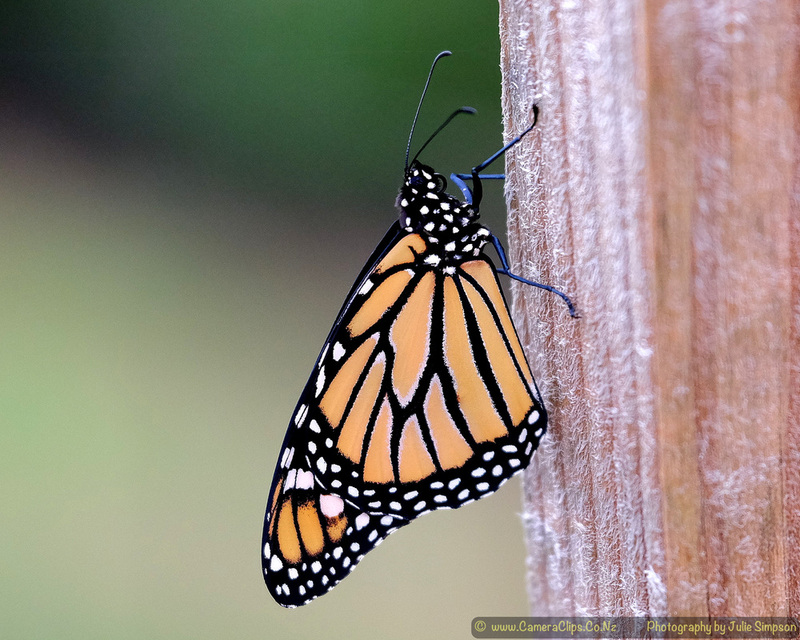 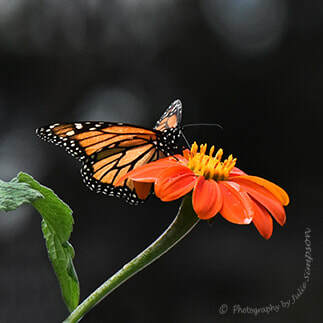 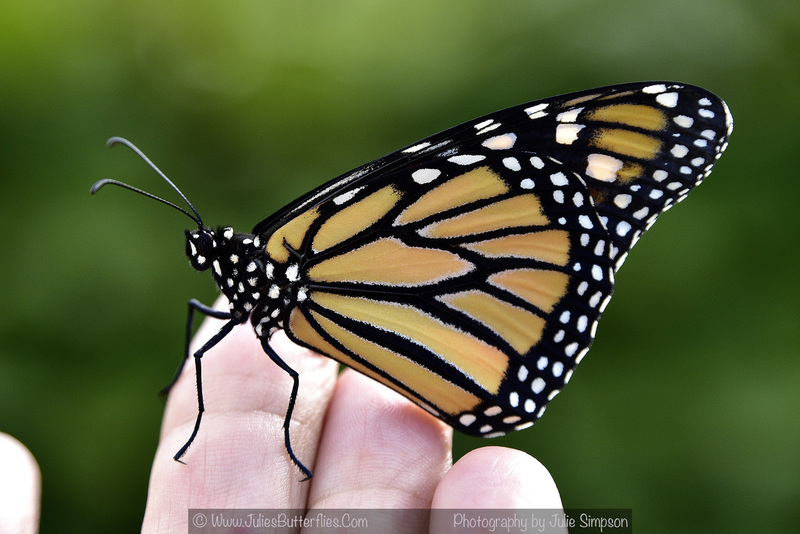 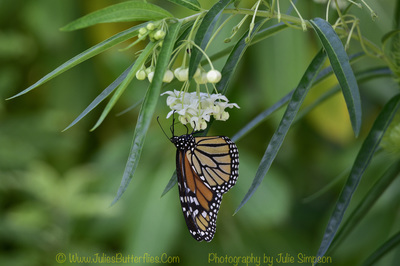 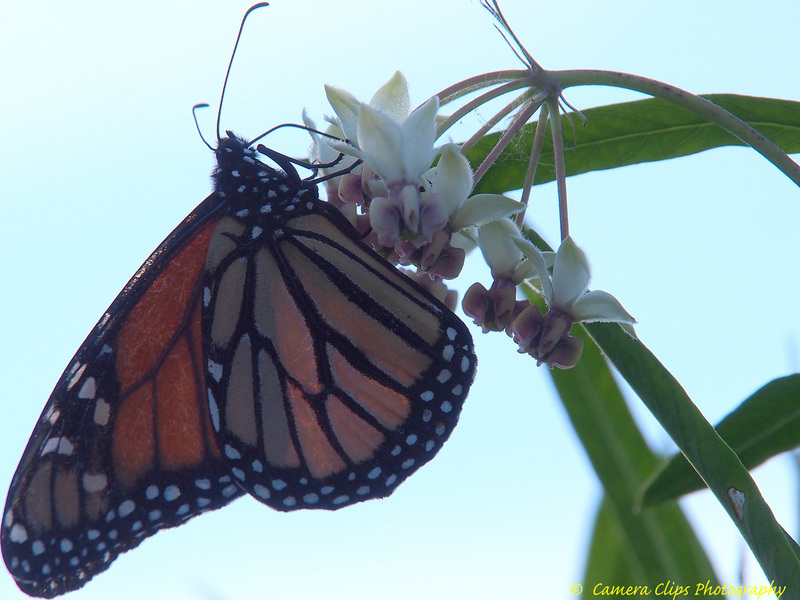 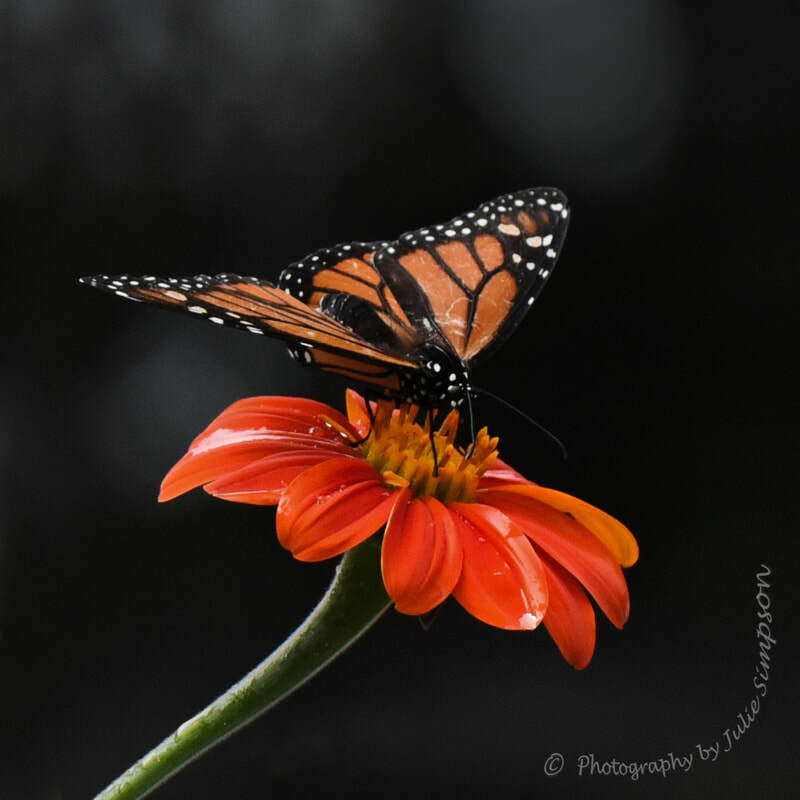 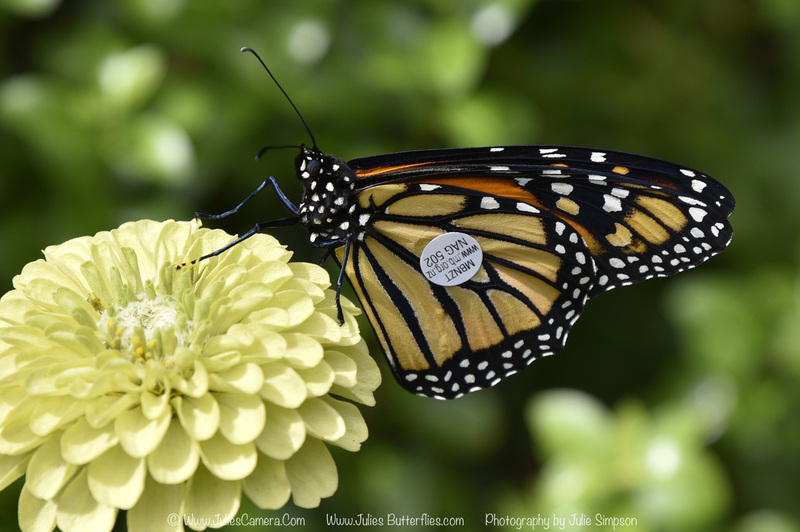 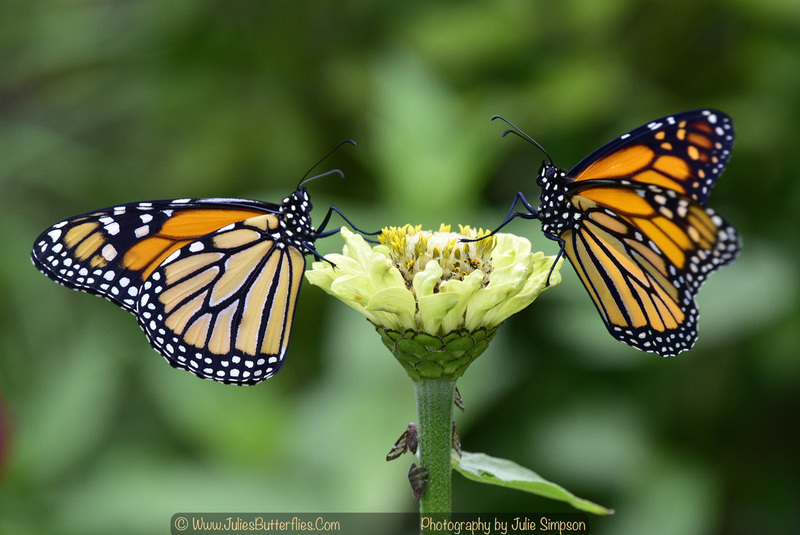 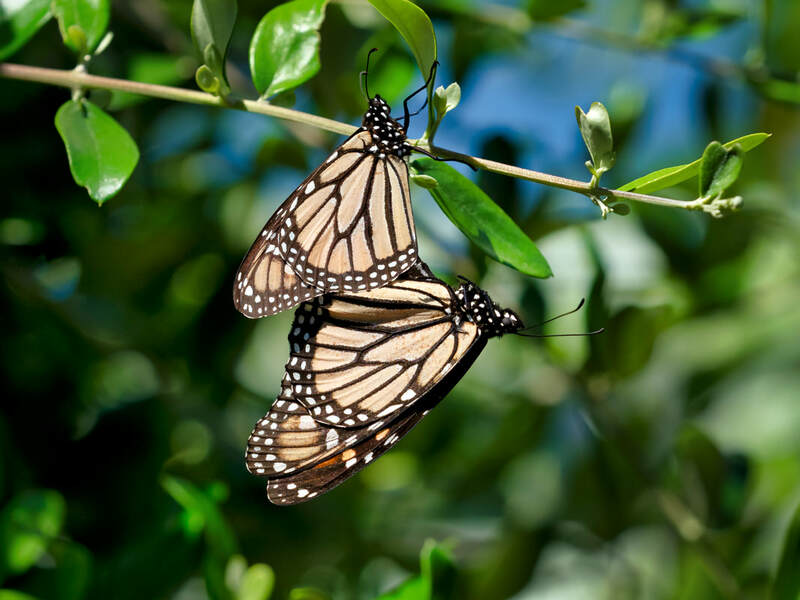 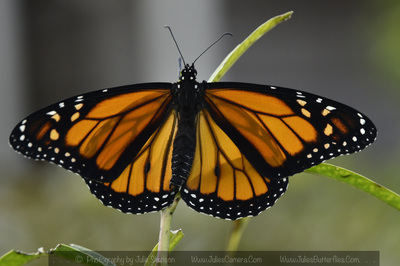 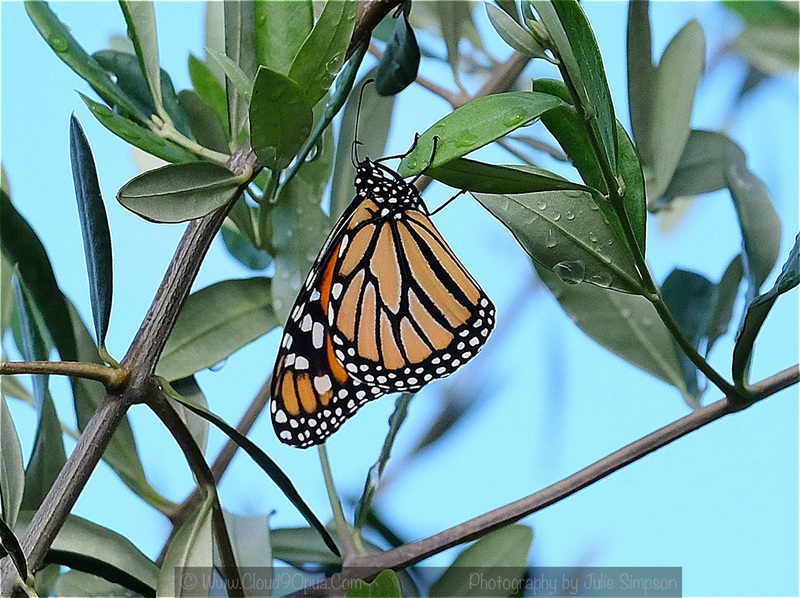 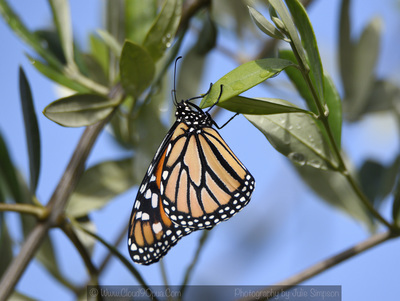 Female Monarchs have darker veins on their wings, and the males have a spot in the center of each hindwing from which pheromones are released (to attract the female). Male butterflies are slightly larger than females.